In my case, I needed to raise an enormous amount of money (six-figures huge) to pay for a new custom software platform that would give our users the easiest and best online experience possible. This was a ten-month project at best, so time was of the essence and getting started quickly was imperative. I spent months and months shopping around and interviewing a bunch of programmers and people to find the right solution at the right price. What I found was a very professional and capable programming team at an incredible price, and readied myself to move forward with them. The issue was that the new software platform, which was needed for exponential growth, cost more than our entire previous annual sales by almost 40%. When that happens, it’s tough to find money to fund your expansion – even though your current technology is the one thing that’s holding you back. 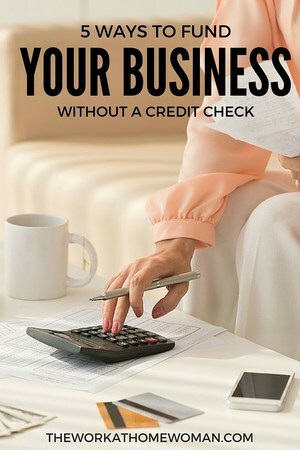 Banks don’t seem to get it and think that every business owner has their “pie-in-the-sky” glasses on when walking in their door. It’s a chicken and egg scenario. We can’t have exponential growth with our current software platform, and we can’t fund the new software platform, without huge growth. If you knew me, you would know that I’m very careful with money, and would like to think that I take calculated financial risks. The fact that I was even seeking this kind of capital proves the comfort level I felt with asking for it, along with the belief that it will be repaid quickly once the new technology platform is launched. In my mind, we need to build a new house to accommodate our growing family. And since our house is not made of brick and mortar, but is rather an online non-tangible residence, it’s easy to see where it may be tough for some people to get their head around the kind of costs we are talking about in order to get the job done right. 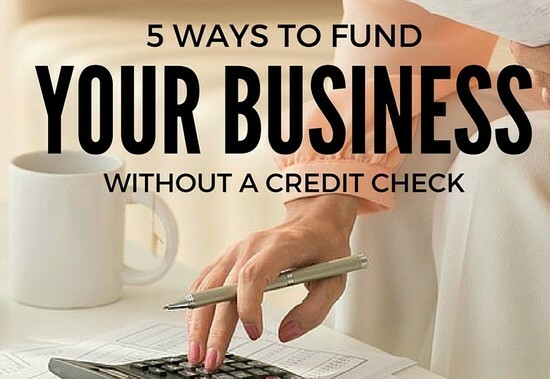 Needless to say, creative financing has been my ally and instead of getting the funding all from one source, I decided to break it down into smaller parts and specifically look for ways to generate money – all without a credit check. I am happy to share my ideas with you and hope that you will find some options that may work for your funding needs. Since our company already uses PayPal for payment processing, it made sense to take a look at their business loan option. With no credit check and a small percentage of the sales going back to debt repayment, this was one option that was highly considered. We incentivized our customers to prepay for two years of membership at a reduced fee. This gave our members a chance to lock in at a great rate, and helped our company with an influx of cash to help pay for the new platform. Win-win. Angel investors, can ask for a ton of reports and information, but we were lucky enough to find a strong and kind-hearted angel investor who was willing to help us out. In exchange, he will receive a small percentage of our company. Without his financial help, we would simply not be able to grow. So even though giving away equity was not part of our original game plan, we feel great about giving this friend a piece of the future. Again, no credit check! We are working on several grant applications and although there is no guarantee, and they can take years to come to fruition if at all, our focus continues to be on the research and submission of grant applications. Finding grants that best fit our offering is essential. As one person recently told me, banks will ask “When can you pay it back?” while grant providers ask, “How can you pay it forward”? I love the power of family and friends. They hear the struggles, and they believe in the concept and are often ready and willing to help by getting in the trenches with you. My mindset has always been to pay them back as quickly as possible. Trust has already been built because of years of prior lending experience with them – they know that I will do as I say. Sometimes it just takes a little creative planning to get the money you need to expand your business. My suggestion is to think about who you already know, and how you may be able to put your best foot forward to pursue your dream. Jan Pinnington is a Nutritional Consultant, wife, mother, and “consummate foodie.” She specializes in teaching nutrition and healthy recipe preparation to kids. In an effort to fight childhood obesity, Jan’s company, Healthy Hands Cooking, teaches other women across the U.S. to do the same. Her philosophy? Love what you do, do what you love, and share your experience with others.